Nestled within one of Sydney’s most vibrant and diverse suburbs, it’s safe to say there’s a lot to see, do and of course, eat within the area. With so much on offer, we’ve partnered up with a few of Potts Point’s most regarded residents to ensure Spicers Potts Point is a home away from home for our guests. The Butler honours the historic ‘Butlers Restaurant’ that occupied the same site many years ago, adding a fresh, modern flair to the drink and food style. Exotic themes enclose the dining area, a forest-like garden consumes the outdoors, various textures of foliage complement the original sandstone walls and a twist on the traditional colonial influence is infused throughout. With a share-style menu and an extensively delicious cocktail list, this venue is perfect for a casual get together with friends. 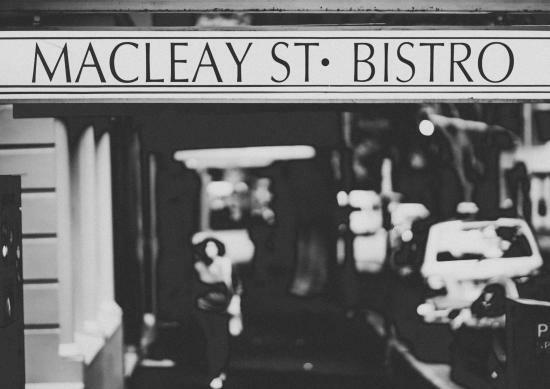 Considered ‘Potts Point Restaurant Royalty’, Macleay Street Bistro has set the benchmark for French classic Bistro style dining in Sydney for 35 years. Today the Village Bistro has an exceptional service & kitchen team, flavoursome, seasonal menu and its new unique, international boutique organic and biodynamic wine list, this hidden gem offers locals and visitors a relaxed, uncomplicated dining experience in a warm, sophisticated setting. Enjoy a cocktail on the terrace. The Sydney Connection curates dining walks around our favourite inner city precincts of Surry Hills, Darlinghurst and Potts Point. Accompanied by our Owner/Operator Maree Sheehan, a well-connected local guide, our walks are aimed at visitors and Sydneysiders who want to go ‘where the locals go’ for inspiring food, good service and cool interiors. PEDept Gym is Sydney’s leading boutique gym catering to all your fitness needs. We pride ourselves on not only being a facility to improve your fitness, but a facility that encourages you to improve your quality of life. With state of the art cardio, strength and functional fitness equipment we cater for the everyday gym goer, to those a little newer to the scene, in a friendly hospitable environment where everyone is welcomed as part of the PE Family. Their yoga studio offers morning and evening fitness classes of the “yin” variety, with pilates, barre and yoga variations spread out through the timetable. These class are great for sculpting and leaning out the body, as well as rejuvenating the mind. Any class is suitable for all levels as our teachers work to suit all students needs and can adapt their session as needed. A 54 year brand heritage that started in London in 1963.Come see our boutique salon located in the heart of Potts Point, we have a selection of international and Australian hairdressers. Discover why the locals in Potts Point look so sophisticated with our complimentary colour, cut and style consultations. Styling and makeup packages also available. Yellow is a vegetarian bistro from the award-winning team behind Bentley Restaurant + Bar. Chef Brent Savage and Sommelier Nick Hildebrandt have been inspired by the European dining scene where contemporary food and wine are served in an informal setting at affordable prices. Monopole is a European-style wine bar and eatery in the heart of Potts Point, run by Brent Savage and Nick Hildebrandt, the team behind Bentley Restaurant + Bar. Nick Hildebrandt’s wine list features more than 500 rare and boutique wines, with around 30 available by the glass or carafe at any time. This list has won multiple awards, including Wine List of the Year in the Sydney Morning Herald Good Food Guide 2017. Based on the rich eating and drinking culture of Japan, Cho Cho San is a Tokyo Izakaya- re-imagined. With a focus on quality produce and ingredients modern takes on Japanese classics. Combined with a Japanese inspired drinks list in a fun, cool, minimalist dining room. The Apollo is a modern Greek restaurant that honour’s the simpler tradition of Greek cooking while working with new ingredients and techniques. With a focus on simplicity, freshness and lack of pretention. The Apollo is a neighbourhood restaurant that focuses on generous, warm service. Gypsy Espresso is Potts Point’s favourite specialty café. The perfect hideaway off the main drag of Macleay St, here you’ll find many a local, chef, foodie and coffee connoisseur. Gypsy’s signature coffee blend consists of 3 bean varieties, from Costa Rica, Colombia and Brazil, with notes of caramel chocolate, candied walnut and blueberry skin tartness. Gypsy’s food is simple comfort food with a twist – from the signature Gypsy Burger to the infamous artfully sliced avocado on toast, as well as being made from locally sourced produce, where possible. Billy Kwong Potts Point combines the warmth and charm of a neighbourhood Chinese eating house with the dynamism of an open kitchen. Chef and restaurateur Kylie Kwong’s style of cooking celebrates locally grown, organic and biodynamic produce, with a major focus on Australian native bush foods. Chester White is owned and managed by two gents with a passion for quality produce, great vino…and a bit of country & blues music. Along with this they want to show you a good time, with quality service. Dishes revolve around cured meats, seafood, pickles and pasta where simplicity takes a front seat. A local retailer specialising in a select offering of bespoke shoes, boots and handbags imported from some of the finest designers in Europe. A lovely local dining room featuring share plates, cocktails, wine and beer. Impromptu focuses on seasonal food, some of it foraged by their own chefs in their own backyard. A small dedicated team who love what they do and want you to have only the best! Jangling Jack’s is a neighbourhood restaurant and bar conjuring a sense of the Kings Cross Bohemia of another time. Blues and Rock ‘n’ Roll with a touch of the Jazz age New York feel about it, patrons sit comfortably at the long bar all night. It is a place to meet the locals, to relax and enjoy the eclectic music whilst sipping the best cocktails in Sydney. For book lovers everywhere, this is a beautiful space to spend time in and browse through an extensive selection of books, gift cards, toys… and more. They are rightfully proud of their recent award, winning Retail Book Store of the Year. Home, Lifestyle, Fashion. The Becker Minty lifestyle concept store is based within the creative melting pot of Sydney suburb Potts Point. Since 2007 Becker Minty has offered the unique and unexpected, with collections including home decor, fashion for men and women, jewellery, perfume and gifts. Our criterion is simple: to bring home that which delights. Hayes Theatre Co, named in honour of one of Australia’s leading ladies, Nancy Hayes AM, is a dedicated music theatre and cabaret venue located in the heart of Potts Point. Presenting 8-10 musicals a year, plus a series of cabaret performances featuring well-known and upcoming Australian artists, Hayes Theatre a truly unique experience of live theatre. Culture Scouts Walking Tours are designed for local wayfarers and international visitors keen to learn and engage with Sydney’s diverse art and culinary scene. Their itineraries traverse routes of galleries, cafes, shops and bars, led by tour guides who share their diverse knowledge in sociable and thought- provoking tour sessions. Bounce by Industrial Bling for unusual and charming Australian accessories. Here you’ll find their madly ambitious attempt to revitalise ancient silversmithing. Or take a workshop and make your own memorabilia in silver or gold. Industrial Bling- exactly like nothing else. No.13 The Beauty Avenue is a full-service beauty salon specialising in healthy skin, indulgent massage, impeccable nails, waxing and tanning. No 13 will leave you looking and feeling your best. Poho Flowers is a Potts Point institution. Providing contemporary floristry and a huge range of plants and gifts to local residents and businesses.